Thanks for the breakdown of the patch nerfs. I recently picked up a warrior 2's partner and we're trying different talent specs to see which suits us better. He's a complete Arena noob so this kind of information on the warrior is a big help to us. Now to convince him to spend money to switch to Armor Pen gems! I really think they should have just only alowed more of the talents to only work if you are a tank. Not sure how exactly but im sure there is a way. I used to do 2's with a prot pally dps and we got up to 2k but now i feel we would not be able to achieve that. Sure prot healing needed a nerf but now "real" prot pallies are very underpowered when matched to a similar prot war for pvp. Hey guys, glad you like the blog. 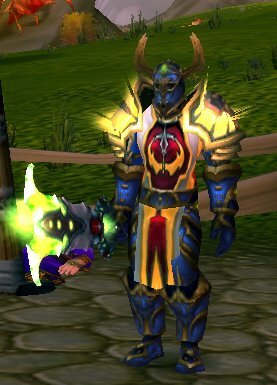 By the way, for the warrior the consensus in my guild is for the warrior to go MACE spec to add the 15% bonus to the arm pen. My warrior has an axe from last season, he'll be picking up his level 1800 mace on Tuesday so I'll be writing to let you know how that goes. Does he have a grimm toll? My war couldn't decide over the Sword or Axe, more crits from the axe = more rage but the sword has that funny random burst that comes in handy. He went with the Axe since he couldn't decide and figured looks would win the deal. With mostly ARPen Gems and a grimm toll you can hit the pen cap pretty quickly I thought but i dont know much about wars. hahahaha... sorry it's only funny if you knew my warrior. I've only seen him step into an instance once and that's at my request. He's all PvP, usualy broke because he doesn't farm dailies unless nessisary. The only raid he'd ever go on is VoA. Good question though. I'm not sure what the actual cap is, but he's not there.